Click here for more demos.. There are situations where a broken or honky tonk piano sound is required or wanted, such in special effects, horror, western, films, tv, to create a mood, or even just for a unique sound in tracks. The demos are intended to show the variety of uses. This isn't recognizable as a sampled piano. 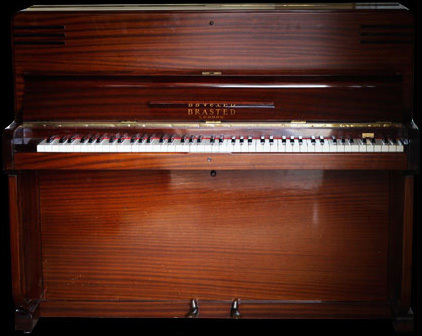 The level of detail is just to ensure that where a broken or honky tonk sound is required, this piano is versatile enough to fit into almost any mix or sound space. There is a vast difference in the mechanical imperfections between the different mic perspectives, so for example, perspective 2 shows the broken strings and mis-shaped hammers in detail, where perspective 4 you hear almost none of this, but it retains its naturally un-tuned sound character. *NB: You cannot use Kontakt Player with this library. Please use Full Retail Kontakt 4 or higher, or EXS24, or use the included PC & Mac (VST / AU) version. All media © imperfect samples 2019 and/or its media providers. All rights reserved.